President Medvedev has ordered the deployment of weaponry on the Kuril Islands that could be sufficient to guarantee security of the region. The order comes as a reaction to Tokyo's recently reiterated claims over the Pacific Islands and prior to Japan's Foreign Minister visit to Moscow. On Wednesday, during a meeting with the ministers of Regional Development and Defense, Medvedev said that “the additional weapons to be deployed there must be sufficient and modern in order to ensure the security of the islands as an integral part of Russia,” reports Interfax. The president told the military chief, Anatoly Serdyukov, to control the issue personally and make sure the weaponry is delivered. The Russian Defense Ministry said the deployment program will be drawn up before the end of the month. Medvedev underlined that Russia will keep strengthening its presence on the islands because of their strategic importance. 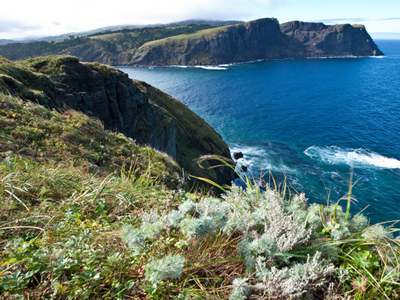 He reiterated that the Kurils are an integral part of Russia and are under its sovereignty. At the same time, Moscow wants to maintain good relations with neighbors, as long as they understand the islands’ priority position in the region. "Undoubtedly, we want to expand good relations with all our neighbors, including co-operation on a number of issues on the islands, Medvedev said. “We are inviting everyone who doesn’t find such co-operation insulting to take part,"he added. The Russian president believes that developing the islands’ social and economic sectors are a priority. 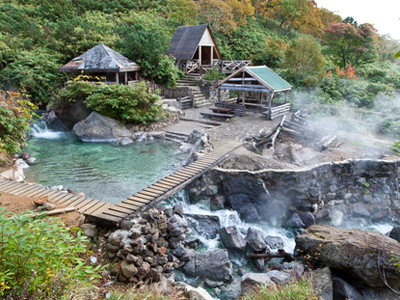 He stressed that it is important to develop not only fishing industry and geothermal energy, but also such fields of economy as tourism, since the region does have opportunities for that. “We should develop fully-fledged infrastructure, intended to serve for a long time.” Medvedev also urged the creation of additional economic benefits that would attract investors to the islands. “I have been talking to everyone about that, including our neighbors, who could use those benefits,” he observed. 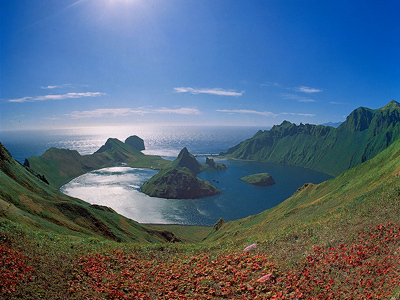 The main goal is to make living conditions for people on the Kurils similar to those living on the mainland. “The region must have prospects for development,” he added. Last year Medvedev arrived with a working trip on Kunashir, becoming the first Russian leader to visit the Kuril Islands. Following the journey, he instructed the government to work out programs for the socio-economic development of the islands. 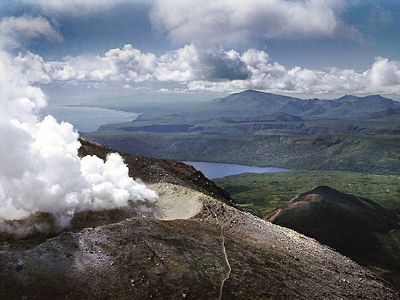 The Kurils’ distant location from the mainland has been one of the major problems hampering in many ways their development. Regional Development Minister Victor Basargin – who has recently returned from a trip to the islands – said that now the atmosphere there is completely different, as people now have hope for improvements. He also told the president that 32 billion rubles (over $1 billion) will be spent for the social economic development of the territory in the period until 2015. There are three main directions that will be given special attention. First, is supporting the economy, building new roads and airports. Second is building new houses. 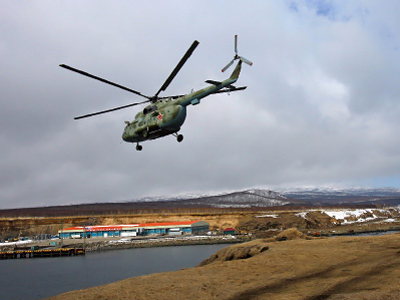 “Before your (Medvedev) trip to the Kurils, they had no real property market at all,” the minister noted. The third direction is going to be connected with geothermal energy, building new deep-water ports and creating a processing industry. 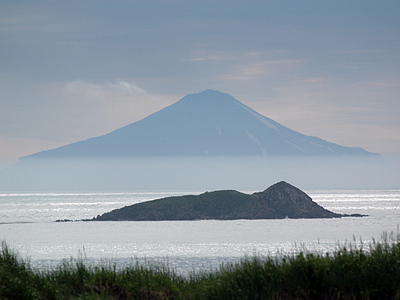 The Southern Kurils – comprising the islands Kunashir, Shikotan, the Khabomai Rocks and Iturup – have been the subject of a bitter political dispute between Russia and Japan. While Russia considers them part its territory, Tokyo insists that the four islands of the archipelago – known as the Northern Territories by the Japanese – belong to them. 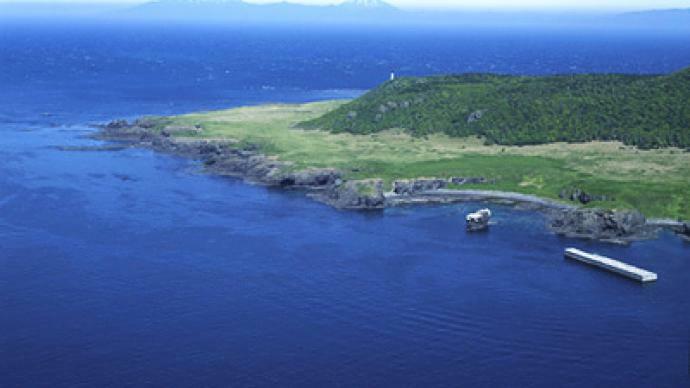 On Monday, Tokyo reiterated its claims over the islands that have been in Russian control since the end of World War Two. Talking about the reasons for such claims, political analyst Sergey Strokan points to the official reaction of the Japanase Foreign Minister, which asked both sides not to dramatize the situation and even went as far as saying that this statement was a personal opinion of the Prime Minister, Naoto Kan.
Strokan believes Mr. Kan is facing stiff opposition inside his own party and by making such statements is trying to regain popularity and control over the post of the Prime Minister. “Experts say his resignation can’t be ruled out, so in this situation he has to look for some strong measures and move to reinstate his position,” added Strokan.